India's great startup boom has come to an end. After a sustained funding frenzy, investor enthusiasm for the country's tech startups has fallen sharply this year. Weaker firms are laying off employees and some have closed up shop altogether. Startup funding in the second quarter plummeted to $583 million from its recent peak of nearly $3 billion in late 2015, according to CB Insights. It's a sharp turnaround for a sector that attracted more than $8 billion last year. "We've already felt the effects of what that bubble would be," said Arjun Malhotra, the co-founder of Indian startup incubator Investopad. "A lot of the companies that were high performing, they are crashing now." The slowdown has occurred despite favorable conditions: The broader Indian economy is booming, and inflation is low. Global investors are on the hunt for the next Facebook (FB) or Amazon (AMZN). With 1.3 billion citizens and a surplus of skilled IT workers, Indian startups proved irresistible to many investors. The success of homegrown e-commerce darlings Snapdeal and Flipkart, and ride-sharing app Ola, added credibility. Yet there is a simple explanation for the reversal: Investors say India's tech sector experienced a classic bubble, similar to the one that rocked Silicon Valley when it burst in 1999. 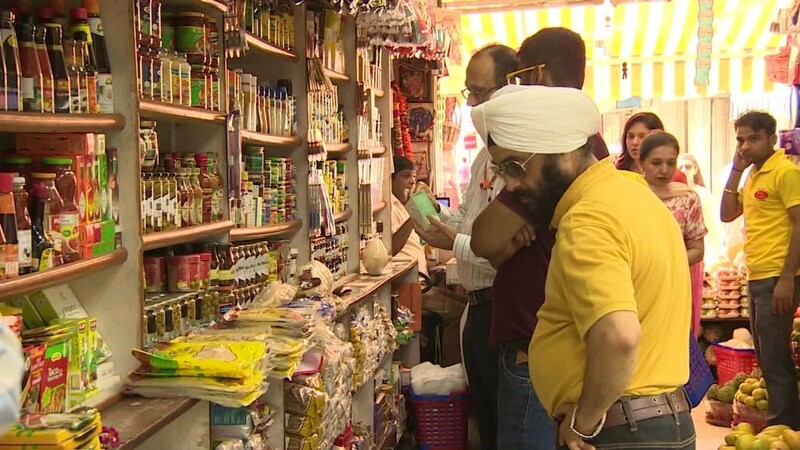 "I think India is going through its first bubble," said Kashyap Deorah, a former Silicon Valley entrepreneur who now runs a startup in Delhi. "It is a bubble and it is normal." Already, the downturn has claimed some high-profile victims. Peppertap, a grocery delivery app financed by Sequoia Capital and Snapdeal, shuttered its delivery operations and "pivoted" to logistics. Another funded grocery delivery startup, Grofers, shut its operations in nine cities across India. In late 2015, Indian unicorn Zomato laid off about 300 staffers. Young techies have been among the hardest hit. Some university graduates even had job offers rescinded by tech startups, according to Gurumurthy Balasubramanian, the chief placement officer at Birla Institute of Technology and Science. "Six or seven companies have done this to our students and students from [the Indian Institute of Technology]," he said. "In the last six months, the last nine months, things were slowly deteriorating." Some industry insiders believe the crash is a needed wake-up call. "I think it's better for the market now that startups are not getting money mindlessly," said Abhishek Gupta, the chief operating officer at incubator TLabs. "What I see [now] is money being well spent." Foreign investors agree that there are still opportunities worth exploring. "Quite honestly, we expected this to happen," said Sumant Mandal, managing director at March Capital, a U.S.-based investment fund based in Santa Monica, Calif. "There's definitely a slowdown." Mandal has been investing in Indian startups for over a decade, backing electronic payments firm BillDesk and online auto classifieds company CarTrade. 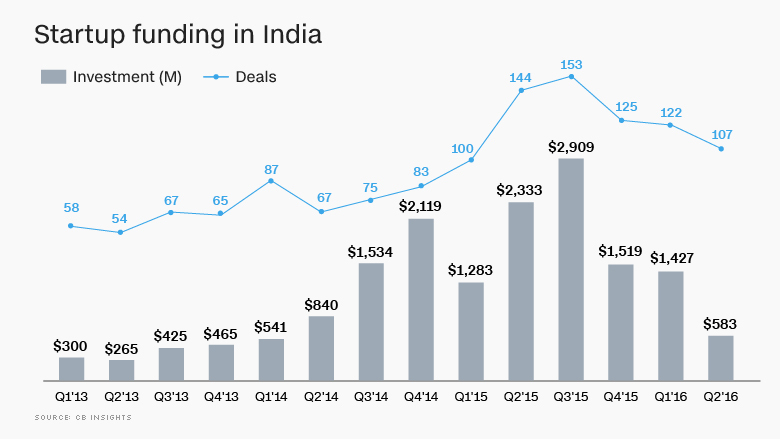 March Capital invests in one or two big deals in India each year, representing about 20% of its overall fund. "I don't think there's any doubt that the market is going to be an important one," Mandal said.